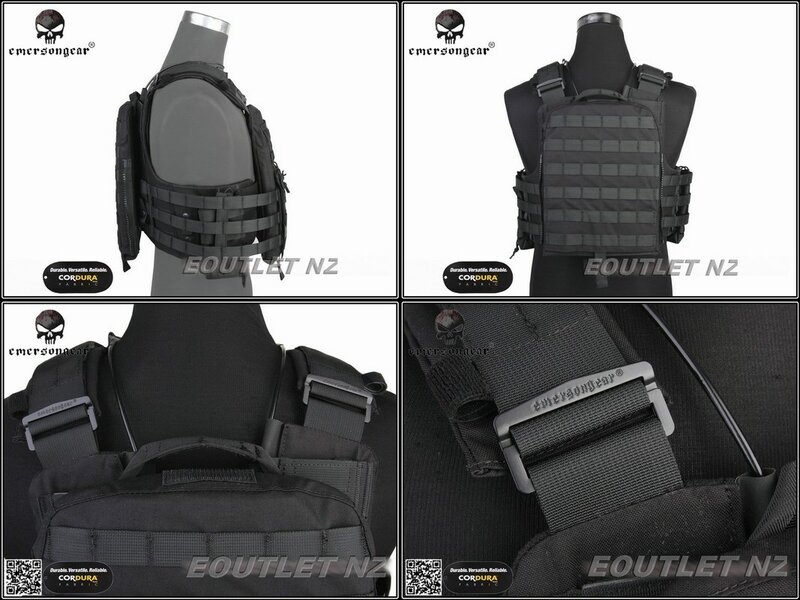 * Offers comfort and load support in a low profile plate carrier configuration. * Quick-collapse pull tab allows carrier to be quickly removed in emergency situations. * Item with quick-access plate pockets and an emergency drag handle. * Accepts soft and hard armor. 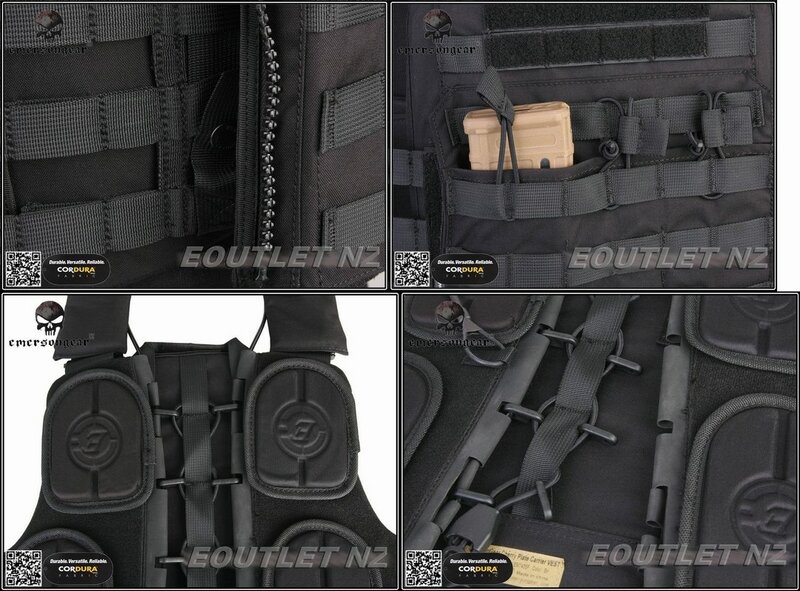 * Integrated magazine and admin pouches. * Removable anti-slip padded shoulder pads with hook and loop. * Heavyweight webbing for modular attachments. * Removable interior pads allow user to customize fit. 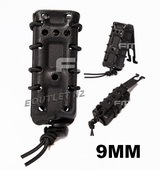 * Integrated magazine pouches hold three M4/M16 style magazines. 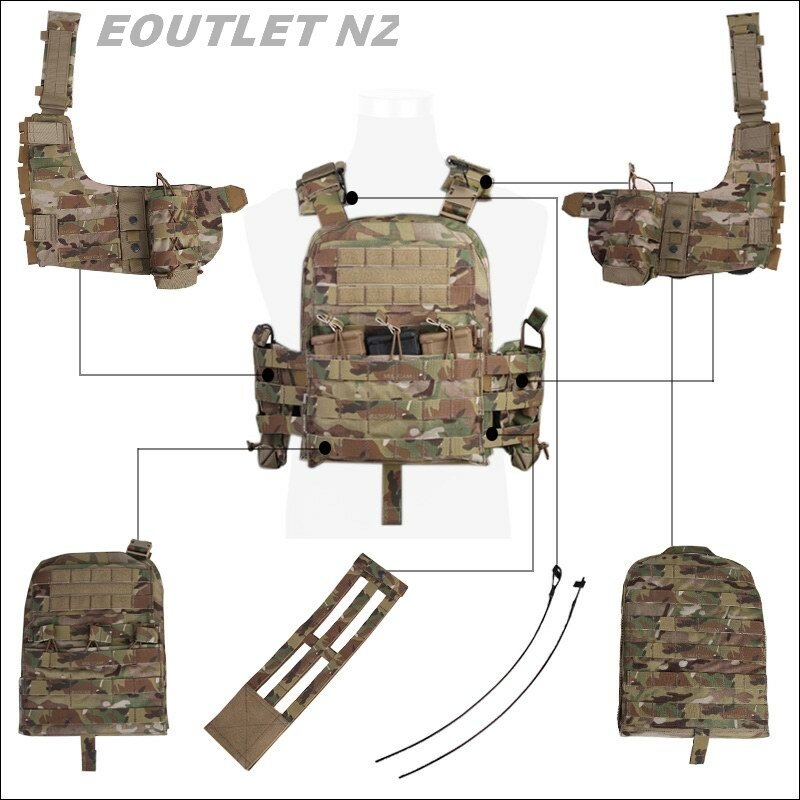 * 3-Band Lightweight Lite Cummerbund provides a three-row MOLLE mounting platform which allows to be configured with more components. 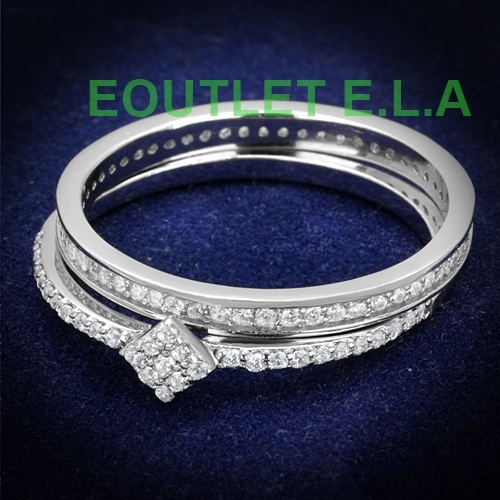 Buy this item and earn 204 points valued at $16.34(inc GST).